Facebook & Twitter Top Moments at Rio Olympics 2016: The Grand Rio Olympic closing ceremony has completed on 21 August 2016. The Leading Social Media networks such as Facebook and Twitter shared the information as the Top moments and Recap. We provided the list here below under the category of Top lists. Get all the Facebook & Twitter Top Moments. Both of the Leading Social Media shared the final report of Olympic Rio 2016 Top moments. Here we provided the complete list from that report. The Micro Text Social Network Twitter launched more than 200 new emoji for the Rio Olympics. The fans and people have also celebrated their team and players along with that new emojis. Facebook’s 360-degree and Live Video helps lot in this 2016 Rio Olympics. Facebook played the huge role in this summer Olympics. Swimming is the Top most event on both of the Facebook and Twitter. Track & Field occupied the Third place on Facebook and Twitter. #Rio2016 is the Top Most used Hashtag on the twitter. The Top Three Athletes are same on both of the Network. Here is the image of Facebook and Twitter Top Athletes. On Facebook: The Top Five events are mentioned in the official blog post on Facebook. As per the report, the below-mentioned events are placed in the shared and talked in Facebook.com. 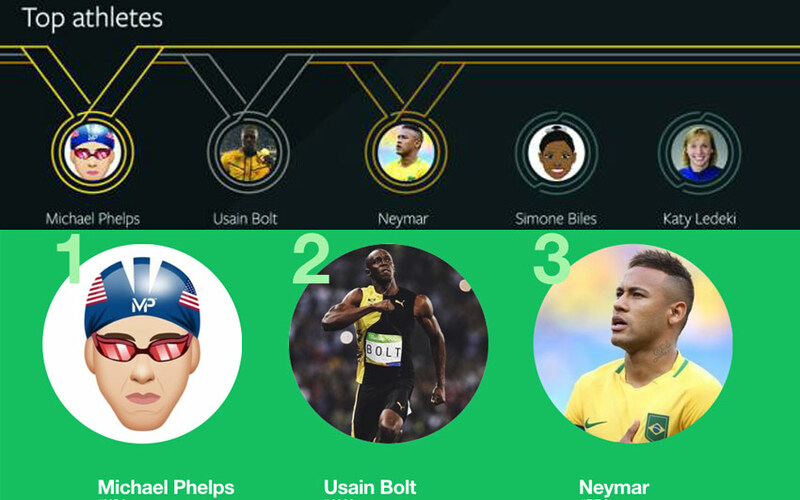 On Facebook: The Top Five Athletes name is here those who all trended in the Facebook. On Twitter: The Top Three Athletes name is here those who all more takeable in the micro text social media. Cristiano Ronaldo congratulating Usain Bolt: Congratulations my friend Usain Bolt for your triple gold!??. [https://www.facebook.com/Cristiano/posts/10154547646257164:0] This post had more than 1.5 Million Likes, 7.7 Thousand Comments, and 16 Thousand Shares. Neymar’s victory: To you, all honor and glory ⚽? [https://www.facebook.com/neymarjr/posts/1134038469965168:0] This post had more than 1.4 Million Likes, 23 Thousand Comments, and 93 Thousand Shares. Prime Minister Narendra Modi congratulating Silver Medalist PV Sindhu: Superb performance PV Sindhu. You make India proud! Best of luck for the finals. ‪#‎Rio2016‬. [https://www.facebook.com/narendramodi/posts/10157411399395165:0]. This post had more than 1.2 Million Likes, 9.6 Thousand Comments, and 42 Thousand Shares. Zac Efron surprising Simone Biles: Surprise!! ‪#‎Rio2016‬ ‪#‎FinalFive‬ [https://www.facebook.com/ZacEfron/posts/1008165249281041:0]. This post had more than 1 Million Likes, 10 Thousand Comments, and 33 Thousand Shares. Usain Bolt’s Gold Medal Pic: GOLD!!! [https://www.facebook.com/usainbolt/posts/10155100490908858:0]. This post had more than 926 Thousand Likes, 9.3 Thousand Comments, and 21 Thousand Shares. Simone Biles (@Simone_Biles): proof : had to do a retake bc I thought we were taking a picture then he kissed me instead ❤️. [https://twitter.com/Simone_Biles/status/765666552410759168?ref_src=twsrc%5Etfw]. This Tweet had more than 163000 Retweets and more than 459000 Likes. Kenzo shirai (@kenzo8824): 夢みたい。人生で一番心臓に悪い日。でも間違いなくそれ以上に人生で一番幸せな日。予選4位からの下克上。仲間を信頼してよかった。頼もしい先輩方ほんとにありがとうございました。この経験を無駄にせずにまた種目別ゆか、跳馬頑張ります?. [https://twitter.com/kenzo8824/status/762812573335117825?ref_src=twsrc%5Etfw]. This Tweet had more than 106000 Retweets and more than 382000 Likes. Usain St. Leo Bolt (@usainbolt): Olympics Record – Beijing 2008: 100 ?, 200 ?, 4×100 ?. London 2012: 100 ?, 200 ?, 4×100 ?#Rio2016: 100 ? , 200 ?, 4×100 ?#Gold. [https://twitter.com/usainbolt/status/766815666057994240?ref_src=twsrc%5Etfw]. This Tweet had more than 86000 Retweets and more than 131000 Likes. Simone Biles (@Simone_Biles): he kissed me on the cheek just letting y’all know @ZacEfron ?❤️. [https://twitter.com/Simone_Biles/status/765665961953419264?ref_src=twsrc%5Etfw]. This Tweet had more than 76000 Retweets and more than 278000 Likes. Juan M. del Potro (@delpotrojuan): Así terminó la semana más increíble de mi vida. #Gracias ❤️??. [https://twitter.com/delpotrojuan/status/765023382194839552?ref_src=twsrc%5Etfw]. This Tweet had more than 76000 Retweets and more than 203000 Likes. The Top Three Countries which all mostly used the Rio Facebook Profile frames. The users were supported their team (Country) by updated their profile Picture by using facebook profile frame. Here, we listed the top three countries name. More than 15 Million users have updated their Profile Picture for the team (Country). 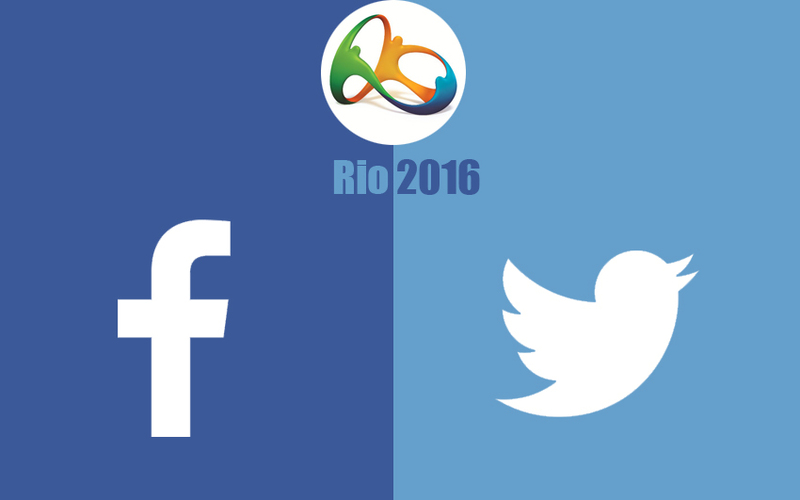 Share this “Rio Olympics 2016: Facebook & Twitter Top Moments” with your friends and Stay tuned for more Updates!